Product prices and availability are accurate as of 2019-04-18 01:36:18 BST and are subject to change. Any price and availability information displayed on http://www.amazon.co.uk/ at the time of purchase will apply to the purchase of this product. 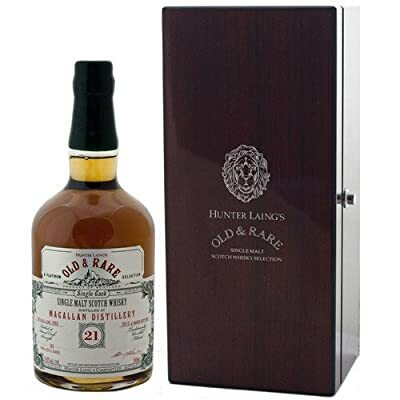 "70cl / 54.8% - From Hunter Laing's Old & rare Platinum range comes a 21 year old Macallan single malt Scotch whisky, presented at 54.8% ABV. 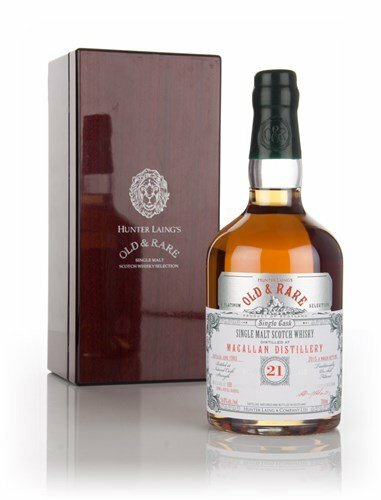 This single malt was distilled back in June 1993 and set aside to mature in a single barrel for just over 2 decades, before being bottled in March 2015. Only 100 bottles were produced."